Australia’s next generation of doctors, and those trusted to educate them, will face a new set of challenges as they lead the profession in to the future, Emeritus Professor Stephen Leeder, AO, will propose when he delivers the 2018 David Maddison Lecture. This year the University of Newcastle’s pioneering medical program, the first degree in medicine to be established in a non-metropolitan Australian university, and the first in Australia to adopt a problem-based learning approach, is celebrating 40 years of delivery. Four decades ago the Foundation Dean of Medicine, Professor David Maddison, was promised a free hand to create a ground-breaking medical program to be based in the Hunter. Professor Maddison believed students should see each patient as a person, that undergraduate education should embrace community health issues rather than concentrate on hospital medicine alone, and that students should be encouraged to solve problems, develop good communication skills and to take responsibility for their further education. Professor Leeder, who himself played an important role in the development of the University’s medical program, as Foundation Professor of Community Medicine, said the next generation of doctors would need to lead the way. “We, as educators, need to equip them to lead us forward,” Professor Leeder said. “Our future doctors need new skills to participate in, and lead, change in the health care system – not only through their role in the lives of their patients, but also in their role promoting better health within the community. “The challenge here is to develop new ways of providing care, with much more effective connection between community care and specialist services. New workforce arrangements are needed with doctors working more closely with other health professionals in leading future directions for clinical care. Professor Leeder, who presented the inaugural David Maddison lecture in 1987, a biannual event paying tribute to Professor Maddison’s contribution to medical education, said there were varying challenges facing medical educators today, such as extending further the opportunities for future students from diverse backgrounds to study medicine; addressing health outcomes for Indigenous Australians; and achieving gender equity in medicine as a career. Professor Leeder suggested future challenges facing the medical profession included the IT revolution; and the health problems facing Australians in the coming decades, especially the impact of ageing and of chronic disease. “Each of these challenges will determine what we do in health care and the shape of education for future doctors and other health workers,” Professor Leeder said. Professor Leeder said the nature of medicine and medical practice was changing but its mission and core values remained the same – addressing human need, both physical and emotional, at its greatest depth. 2018 David Maddison Lecture - Keynote by Emeritus Professor Stephen Leeder AO, ‘And Now, For the Next 40 Years’, Monday 15 October, 5.30pm-7pm at the Royal Newcastle Centre (RNC) Lecture Theatre, John Hunter Hospital. Register for the event. 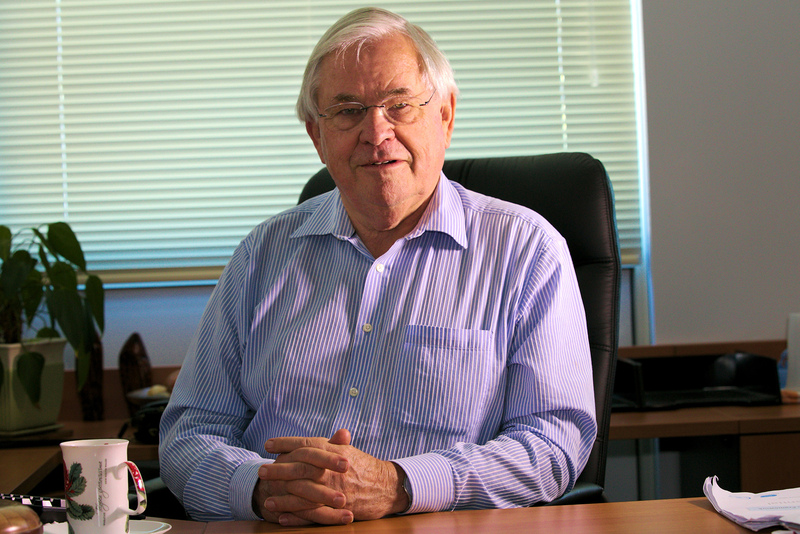 Stephen Leeder is Professor Emeritus of Public Health and Community Medicine at the University of Sydney. He is currently Editor-in-Chief of the International Journal of Epidemiology and Director of the Research and Education Network, Western Sydney Local Health District. 2018 marks the 40th anniversary of medicine at UON, and the 10th anniversary of the Joint Medical Program. As part of the anniversary celebrations, the University has presented an equity in medicine public lecture series, which consisted of keynote lectures throughout the year addressing issues such as gender equity in the health and medical profession; service provision in rural and remote communities; and Indigenous health and well-being. The Joint Medical Program is delivered through a partnership between the University of Newcastle (UON) and the University of New England (UNE), in collaboration with the Central Coast Local Health District and the Hunter New England Local Health District. This partnership delivers a world-class medical program that addresses the chronic health workforce shortage that exists in remote, rural and regional communities. The JMP is a globally-recognised, regionally-based medical program that is committed to graduating doctors with a dedication to equity and excellence in all aspects of patient care with the skills and capacity to adapt and respond effectively to new and emerging future health needs. For further information or interviews, contact Communications and Media, on 02 4921 5577 or media@newcastle.edu.au.